Under Massachusetts Law, a defendant who has the requisite intent to commit theft or any felony, and confines, maims, injures or wounds, or attempts to do same, to another individual, in order to steal from a building, bank, safe or other depository of money, and is found guilty, can be sentenced to state prison for life. The acts covered by this law also include, intimidation, force or threats of force, which compel the victim to disclose or surrender the means by which such areas con be opened, can also by found guilty. (see M.G.L. 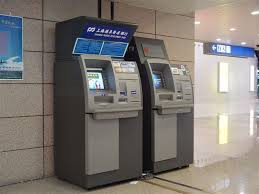 265 s. 21) In a February 2015 decision, the Massachusetts Supreme Judicial Court held that where the defendant (along with an accomplice) intimidated victims into withdrawing funds from an automated teller machine (ATM) and handed those funds over to him, could be charged with violation of the above law. As part of the defense in this case, the defendant through counsel, argued that he was actually stealing money from the victims person, and not the bank itself, in order to avoid the convictions and inherent exposure to a lengthy state prison sentence. The defense also argued that it was his intent and purpose NOT to steal the property situated at the ATM, but to take the money from the victims AFTER extraction from the ATM. The Supreme Judicial Court disagreed in the case of Commonwealth v. McGhee (February 13, 2015). The facts adduced at trial were that in May of 2010, the defendant, along with his accomplice, approached the three victims (3 males) in a Worcester parking lot, and ordered them to get into a vehicle owned by one of the victims through the use of threats. After confining the remaining two males in the vehicle, the defendant through threats and some use of physical force, was able to get money from the three males as a result of withdrawals from differing ATM’s. Throughout this period, one of the male victims was the driver, operating at the direction of the defendant and the accomplice. Whoever, without lawful authority, forcibly or secretly confines or imprisons another person within this commonwealth against his will, or forcibly carries or sends such person out of this commonwealth, or forcibly seizes and confines or inveigles or kidnaps another person, with intent either to cause him to be secretly confined or imprisoned in this commonwealth against his will, or to cause him to be sent out of this commonwealth against his will or in any way held to service against his will, shall be punished by imprisonment in the state prison for not more than ten years or by a fine of not more than one thousand dollars and imprisonment in jail for not more than two years. Whoever commits any offence described in this section with the intent to extort money or other valuable thing thereby shall be punished by imprisonment in the state prison for life or for any term of years. Whoever commits any offense described in this section while armed with a firearm, rifle, shotgun, machine gun or assault weapon shall be punished by imprisonment in the state prison for not less than ten years or in the house of correction for not more than two and one-half years. The provisions of the preceding sentence shall not apply to the parent of a child under 18 years of age who takes custody of such child. Whoever commits such offense described in this section while being armed with a firearm, rifle, shotgun, machine gun or assault weapon with the intent to extort money or other valuable thing thereby shall be punished by imprisonment in the state prison for life or for any term of years but not less than 20 years. In analyzing the above statute and applicable case law, it is an arguable proposition that the jury could have found that the three males were confined, held against their will, or forcibly carried, under the fact pattern presented in the case. there is no question that the defendant would not be liable under the second paragraph given that there were NO indications of weapons, or threatened use of weapons. So why not guilty of the first paragraph? One can never really foresee how a jury may decide or what they decide, but they may have found that because there was no use or threatened use of a weapon; the fact that the victims were three males; the fact that one of the victims was the individual who actually drove the vehicle; and remembering that the prosecution has the burden of proving beyond a reasonable doubt, EACH and EVERY element of each charge, along with the unanimity of such finding. The jury may have thought that there may not have been enough there to meet that burden, also taking into the account the possible variables mentioned above. Why not guilty of armed robbery? 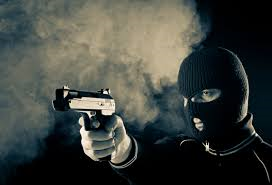 Well under the statute and applicable case law, there was no indication that the defendant possessed a weapon in order to conduct the above acts of theft. Also, under Massachusetts Law, a defendant can be charged and found guilty of armed robbery, even if he or she did NOT possess a weapon. In cases where an individual threatens another by indicating the possession of a weapon in which causes fear under which money is turned over, and they immediately leave the scene and are apprehended later, can be charged with armed robbery as opposed to unarmed robbery. The clear factor is, whether the defendant had the adequate time to dispose of the uttered weapon, before being apprehended. Under Massachusetts Law that time can be rather quick, as the inherent disposability of a knife or gun, lends itself to being disposed of rather quickly. As a former prosecutor, I investigated, prosecuted and tried many such cases, and related offenses, at the district court and superior court level. That also included working with various local, state and federal agencies that were focused specifically in the areas of bank robberies. The interesting aspect of such cases was the development of evidence through DNA, Fingerprints, Ballistics, Identification Procedures, and Cell Phone Evidence, all of which I received training on throughout my career as an assistant district attorney. Whether you find yourself in the middle of an investigation, facing indictment, or already have been charged, it is crucial that you know your rights. Feel free to call Attorney Papachristos, for a free consultation.